The D&H Classic Rolled Leather Collar is comfortable and stylish in traditional colours. 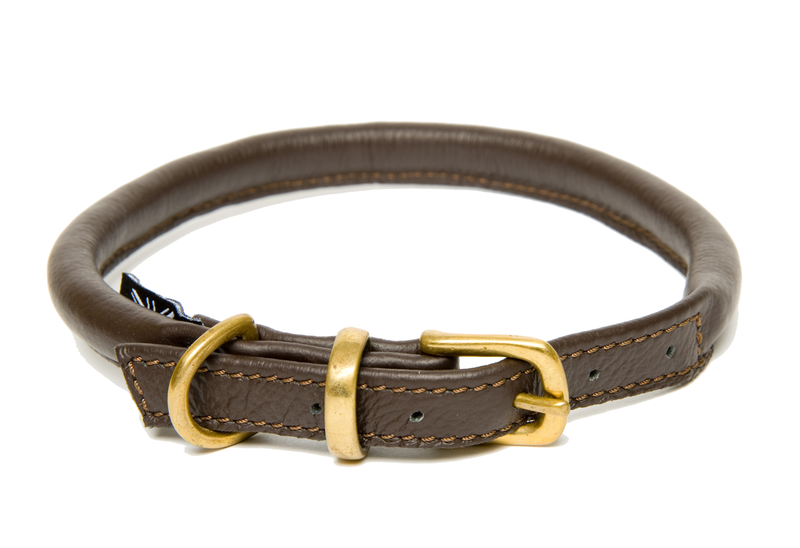 This D&H luxury rolled leather dog collar gives all the elements of a quality and comfortable collar with a traditional look. 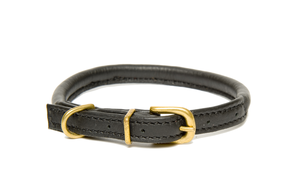 The Classic Rolled Leather Collar from D&H is made using soft rolled leather and finished with a traditional solid brass buckle. 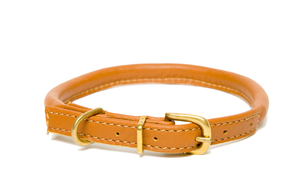 The collar is approximately 1cm wide for small & medium sizes and 1.5cm wide for large sizes. Available in a choice of 3 classic colours: Black, Brown or Tan.